Pacific Northwest Native Americans have used sedges for thousands of years within their clothing, basketry patterns and overlay. 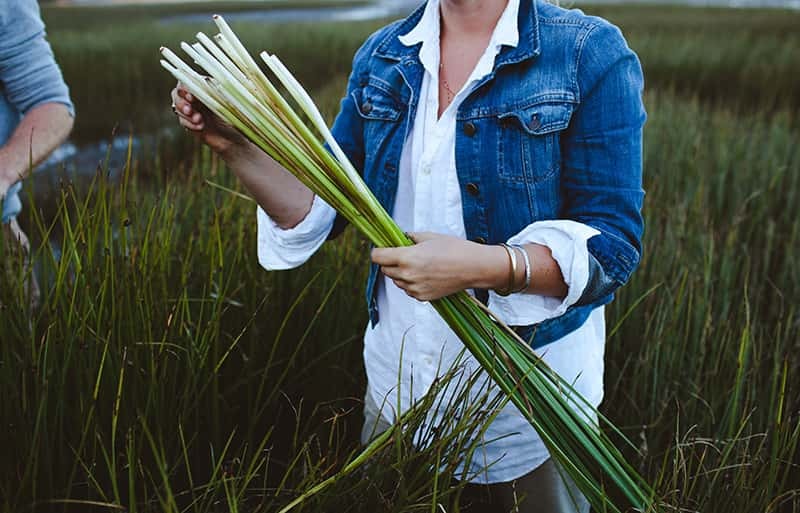 Learn how to identify, traditionally gather and prepare Coastal Sweetgrass Sedge for weaving. Students will have the rare experience of practicing traditional methods of gathering in original Native homelands, while learning tribal history and the deeper relationship with the land. Sustainable harvest will be a priority in this workshop. This workshop takes place in Tillamook, OR, rain or shine. Students will receive directions and meeting location 1-week prior to the workshop. All Native Arts classes are offered at 50% off tuition for all enrolled tribal members. To register, please email Sera@wildcraftstudioschool.com. If you are not an enrolled tribal member but are of North American indengenous descent, email us details and we will do everything possible to award this class discount. We are deeply committed to ensuring that this education is made available to those who it belongs to.